Bought three cleansers last week. Lol, I can't get enough of cleansers. From The Body Shop atrium sale, I managed to pick up the Tea Tree Oil Skin Cleansing Foaming Cleanser. It's in the new formula which I've yet to try. Also picked up the Seaweed Deep Cleansing Facial Wash. I didn't really like it when I first tried it last year and used most of it for washing brushes but I've switched over to using this when I was having bad breakouts. This doesn't dry out my skin as badly as the Tea Tree Oil facial wash, when used in conjunction with my pimple creams or acne gel. I really can't decide which I like more now so I had to get both. And then I picked up another new cleanser which I've never tried - Garnier PureActive Deep Unclogging Pore Facial Wash. I'm actually a huge Garnier fan. I know you probably can't tell as I don't blog about their products much. I have tried their cleansers, exfoliator, creams/moisturisers, sunblock, eye cream, pimple gel, spot whitening cream, masks etc. Lol. Some are average products but I still like most of them. 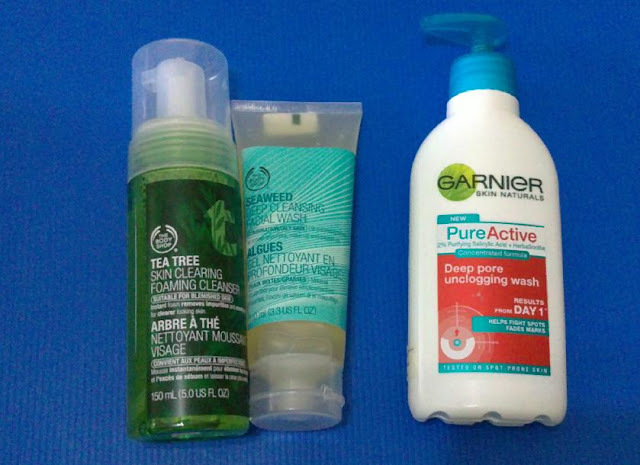 The blue range (previously, the blue range was called Garnier Pure instead of PureActive) cleanser is something which I've used in the past to combat my acne skin as it contains sacrylic acid and zinc minerals, way before I switched over to using Tea tree oil based products. I didn't think much of their cleanser back then as most of my problems are dealing with cystic acne and it didn't show much improvement. But recently I started picking it up my old Garnier Pure Pore Unblock Foam to use and it cleared up a good amount of my clogged pores. Thinking back, perhaps this has been the reason why I don't get much clogged pores/blackheads/whiteheads back then. I wanted to get back the old cleanser but apparently, they revamped the range again. I bought this new cleanser to try but I realise it doesn't contain zinc minerals like the old range. I'm not really sure why Garnier likes to keep changing their formulas, packaging and even product names. It's actually most frustrating. Anyway I've started using this and it did show results (as promised on the bottle). My skin is slowly clearing up. I still wish they'll bring back the Pore Unblock Foam as it has microbeads in it. Also picked up this tool for cleansing the face. 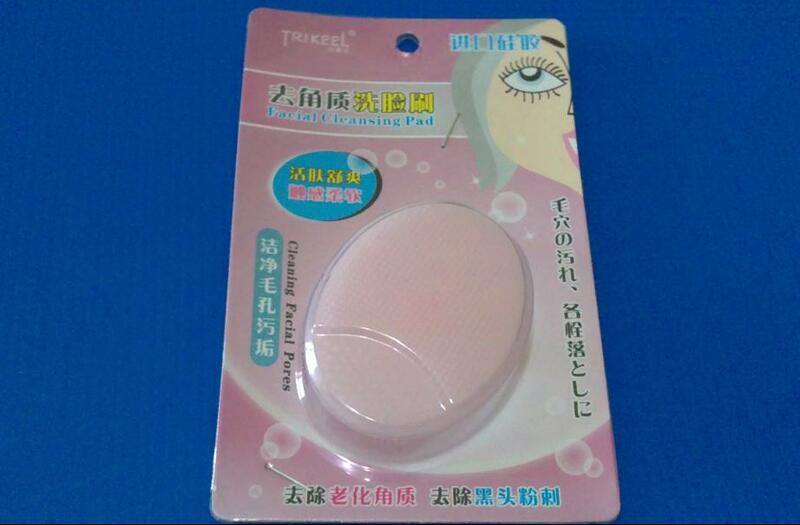 It's made from a soft rubbery material and said to help cleanse the face better. As I got this cheap, I'm really not expecting miracles. 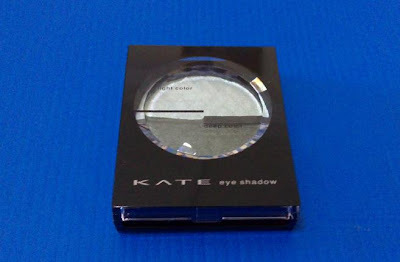 Finally caved in and bought KATE Dual Blend Eyes in GN-1. 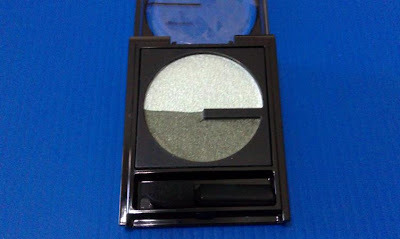 I've been wanting a moss green eyeshadow for a while. The pigmentation of the moss green is really great and I just love how sophiscated it looks. The lighter green is more of a sheer light minty green wash of colour. It isn't crazy pigmented but the various shimmers in it really make the colour to be very interesting.